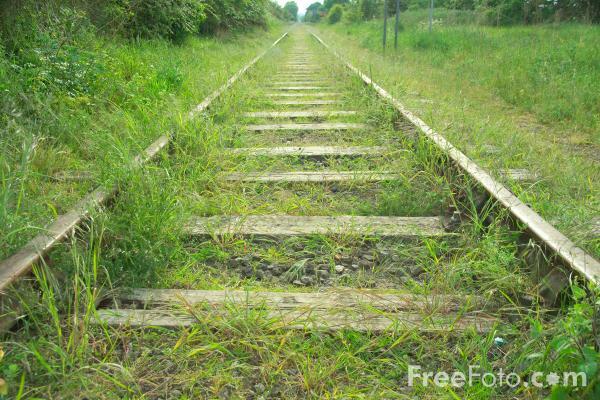 Every time I see the train tracks, I feel forlorn and lonely. You know what they say about those tracks no Raj... that they run parallel to each other, and forever, they never meet. Does that sum up our lives too Raj? Will we be forever running together, but never really together? No baby, I don't see it that way. Every time I see railway tracks, I am reminded of you and all the ruckus we create when we are together. I believe that because these tracks run parallel, good things happen. Trains run on them, and people get to meet their loved ones. I believe that there should be more trains,... and the tracks should forever run parallel. Dog you are Raj, you and your sick mind. I wish these tracks would stop staring at each other over the ages and come together some day. They do come together princess. They come together every time a train runs of them tracks. The train brings them together. It connects them and lends their existence a very beautiful meaning. The irons wheels carousing the iron rails makes such beautiful music, it reminds me of you. The rail roads remind me of the years I have to wait for a few moments with you. Let there be more trains. Yes Princess, let there be more trains.